There’s a reason they call high blood pressure the silent killer. The Center for Disease Control says 75 million Americans suffer from hypertension, a sobering one in three adults. Worse, it says only 54 per cent have their condition under control—a fact made more awful by the fact that hypertension is a contributing cause for about 1,100 deaths per day. Yeesh. Editor's Note: This isn't currently available in Australia. Taking blood pressure readings is easy. It takes maybe a minute or two at most and is way more comfortable than a traditional cuff. You can definitely feel the strap inflate and resulting constriction, but it’s not quite so much like a boa constrictor wrapping itself around your arm. 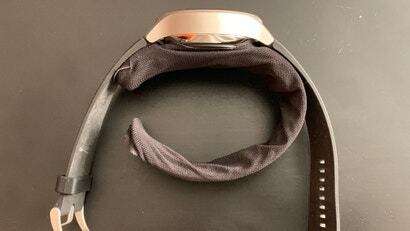 I tested the HeartGuide against a $US40 ($56) CVS-branded cuff and got very similar readings. 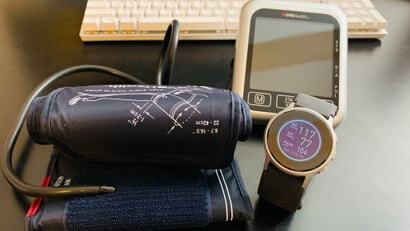 The watch said my blood pressure was 110/62 with a pulse of 68 beats per minute. Meanwhile, the monitor gave me a reading of 113/70 with a pulse of 67 bpm. In either case, my blood pressure was within the same range on both devices within minutes of taking each reading. As a 30-year-old with no family history of high blood pressure and a clean bill of cardiac health, I’m clearly not the demographic that would most benefit from this device. But my roommate does have hypertension, a family history of heart issues, and is notoriously bad at taking his blood pressure medication. (Sorry-not-sorry for the public shaming my dude. Though, to be fair, a study found that only 20 per cent of hypertensives take their meds as prescribed.) 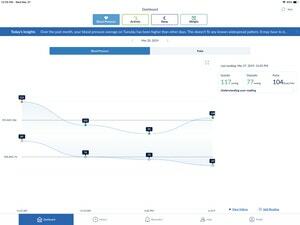 I gave him the HeartGuide for a week to see if it changed his awareness or habits. 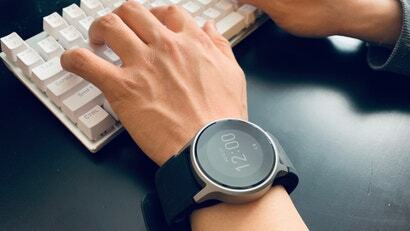 This chunky smartwatch has a case diameter of 48mm and a thickness of a little over half an inch. For comparison, the bigger Samsung Galaxy Watch is 46mm. 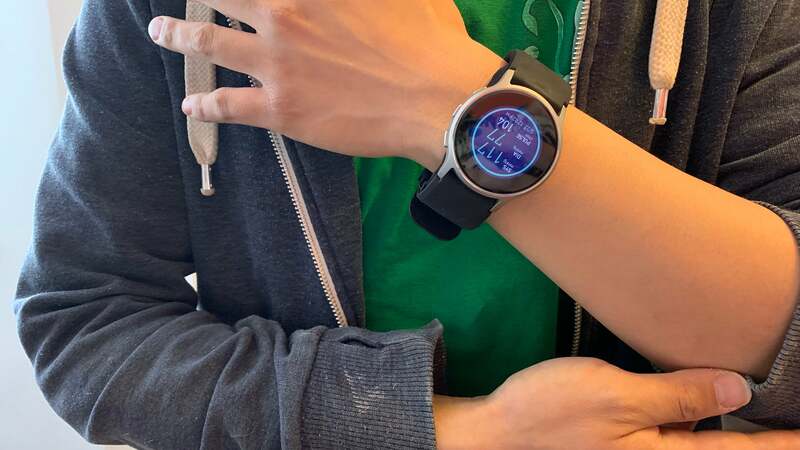 The HeartGuide also weighs a hefty 116.23g, which is far heavier than your average smartwatch—especially as newer iterations emphasise more lightweight materials. 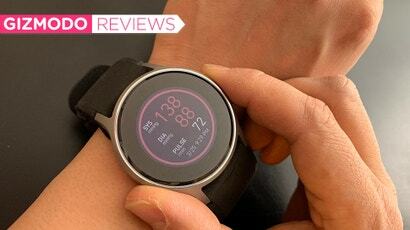 The review unit I tested was a medium, and it completely dwarfed my wrist. To get readings, I had to push it a bit further up my arms as it can’t actually enclose around my wrist. But for my roommate, the watch was actually a smidge too small. It could be that we were both unlucky. 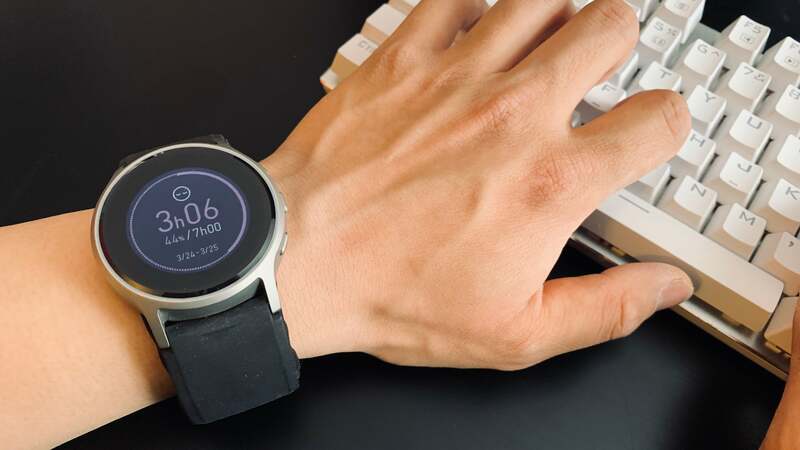 Omron says the medium should fit about 70 per cent of wrists, and that the large and small versions of the watch should be available later this year. 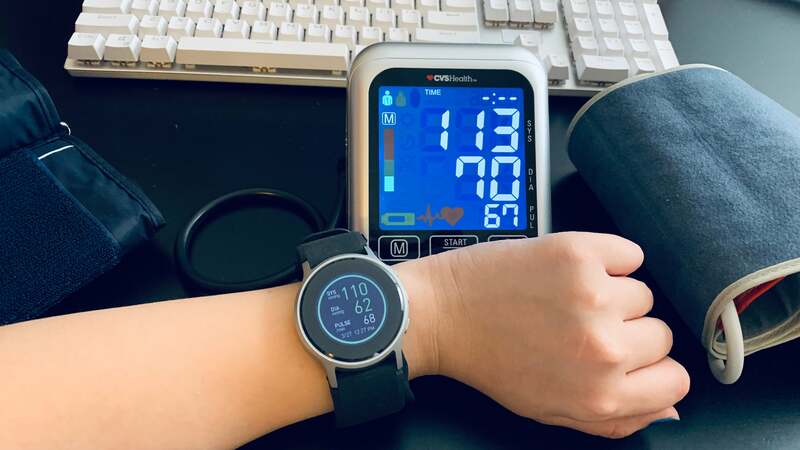 The main holdup is that each iteration of the watch needs to separately go through the FDA approval process, as the algorithms to calculate blood pressure differ slightly for each. But that’s where we get to value. At $US500 ($704), the HeartGuide is pricey, and aside from blood pressure monitoring, its other features aren’t as fleshed out as other smartwatches. As far as health goes, you can track steps, distance travelled, calories burned, and sleep patterns. You also get call, text, and email notifications—but that’s about it. There’s no fancy third-party app ecosystem and the only app you’ll really be using with this thing is the Omron HeartAdvisor, which lets you track your blood pressure trends over time and gives insights into how your behaviours might impact your health. So if you’re concerned about mum because your family has a history of strokes, or you know grandpa is awful at taking his blood pressure medication regularly, the Omron HeartGuide is a good gift to consider having everyone pitch in on. That said, an inflatable cuff is considerably cheaper and nagging is always free.